The Last Man On Earth joined the rest of the human race at San Diego Comic-Con dishing about the tons of fun it is to work on the show. The panel included Will Forte, Kristen Schaal, Mary Steenburgen, Cleopatra Coleman, Mel Rodriguez, and January Jones. Check out the panel highlights video below. Last week on The Last Man On Earth, the gang had a reason to celebrate as Carol (Kristen Schaal) found out she is pregnant, and Tandy (Will Forte) is the father. Hooray! Mike and Erica (Jason Sudeikis and Cleopatra Coleman)started getting closer. Pre-virus Erica was a thief and a con, but that doesn’t matter to Mike. Gail (Mary Steenburgen) saw a drone, but everyone else thinks Gail has hit the bottle too often (not untrue). Mike started coughing up blood, and everyone started freaking out about the virus, so he ran away. Last week on The Last Man On Earth, the Miller brothers (Jason Sudeikis and Will Forte) had a prank war, the extent of which I’ve never seen. It was bad – poison oak, falling off cliffs, fake letters from dead moms, half beard, half hair, half “drapes.” I did not think they were going to come out of it. But they did and it was wonderful. Todd (Mel Rodriguez) was being pulled apart, but found he had more to give, especially to support Phil. Carol (Kristen Schaal) asked him to father a baby for her and Phil and he agreed. 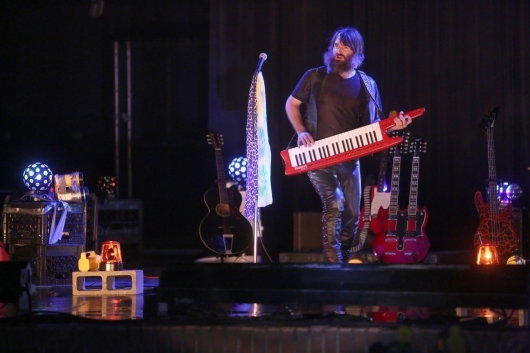 Last week on The Last Man On Earth, Mike Miller (Guest star Jason Sudeikis) was really hitting it off with the Malibu residents, and Phil (Will Forte) was jealous (surprise!). They acted just like brothers – brothers in the regular world, not ones who miraculously survived an apocalypse together. But the group (except Carol) showed preference for Mike. Tandy got so envious, he told them how Mike wasn’t there for his dying grandmother. Mike got him back though. He shaved half his head and beard. Melissa and Gail (January Jones and Mary Steenburgen) agreed to both date Todd (Mel Rodriguez). 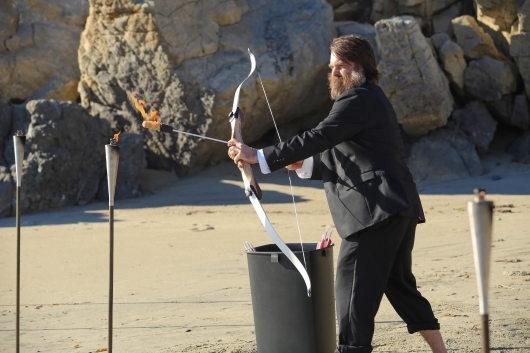 Last week on The Last Man On Earth, Phil and Mike Miller (Will Forte and Jason Sudeikis) were finally reunited running towards each other on a beach, and ending with a punch to the groin. Everyone was horrified. At least it took the heat off the two pieces of news that had just been confessed: Todd (Mel Rodriguez) had been sleeping with Gail and Melissa (Mary Steenburgen and January Jones), and kissed Erica (Cleopatra Coleman), then proposed a four-way. And Phil admitted to Carol (Kristen Schaal) that he lied about his fertility test coming back positive. 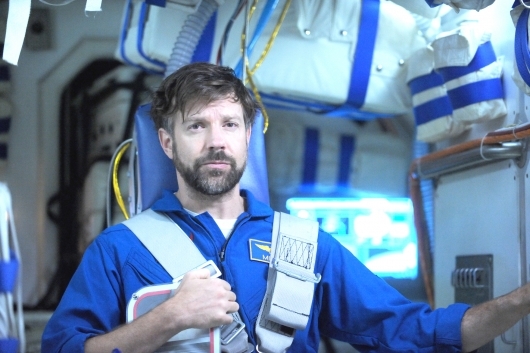 Last week on The Last Man On Earth, it was all about astronaut Mike Miller (Jason Sudeikis), after he crashed to Earth from space with only a worm (Phil) for company. That was the one of the fall finale cliffhangers, where Mike pretty much said, “f*** it” and sped toward the atmosphere. Mike crashed into a cruise ship and sunk it. He found a sailboat with a crazy Mark Boone Junior (SOA) as the sole occupant (of Earth it seemed). Boone Junior played Pat, who does not believe in virus immunity, but that exposure to land air means death. Nevertheless, they masked up and went to town, Mike checking out the massive bodies laid out. He spied the ‘Alive in Tucson” signs, but had to fight Pat to be free. He jumped out of his body bag at the end and headed to his hometown. 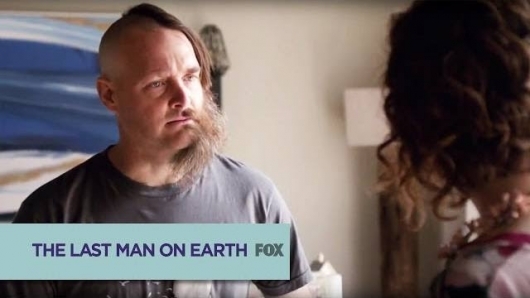 On the fall finale of The Last Man On Earth, things got quite crazy (crazier than usual). The other Phil Miller (Boris Kodjoe) got appendicitus, and Gail (Mary Steenburgen) had to perform surgery, even though she was NOT a surgeon and was tipsy. Phil flatlined. In the meantime, Mike Miller (Jason Sudeikis) changed his mind about suicide after a new worm was born, so decided to kamikaze to silent Earth. The show ended as he plummeted towards the planet screaming. 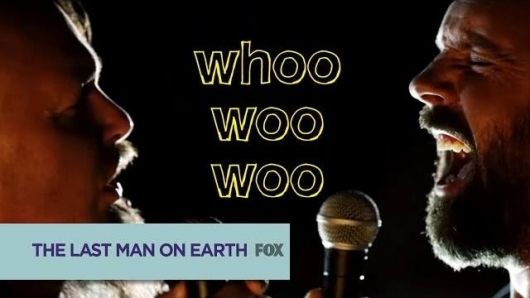 The fall finale of The Last Man On Earth aired Sunday night, and it was the best episode yet. All of the goofs and gags that we love about the show, mixed with heartwarming and heartwrenching moments, equaled a fantastic time. The episode ended on such a crazy note, and there are endless possibilities when it returns closer to spring.